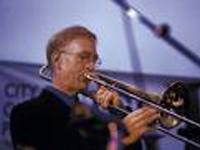 Scott Kyle is a freelance trombonist who has played with many touring commercial artists, including Kenny Logins, The Temptations, and The Four Tops, as well as many top jazz performers including Louie Bellson, Buddy Rich, Stan Kenton, Sammy Nestico, Clark Terry, George Duke, Bob Magnusson, Charles McPherson, Roger Kellaway, John Patatucci, Tom Kubis, Peter Sprague, Wayne Bergeron, and Eric Marienthal. Here in San Diego he plays regularly with Gilbert Castellanos’ KSDS Jazz Orchestra, Big Time Operator, and the Brad Steinwehe Jazz Orchestra. Scott has released two critically acclaimed CDs as a leader and been nominated for three Grammy Awards as a jazz soloist. 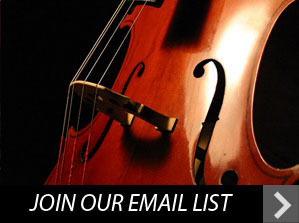 He is a faculty member in the Jazz Studies department of SDSU’s School of Music and Dance. Further information is available at www.scottkylejazz.com.